Baby boys and puppies go hand in hand throughout the ages. 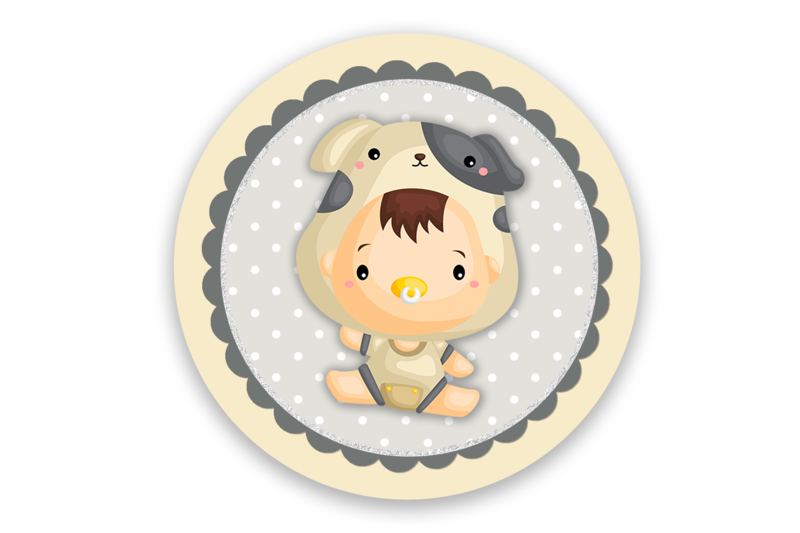 This baby boy is dressed in the most adorable puppy costume outfit on the first topper. 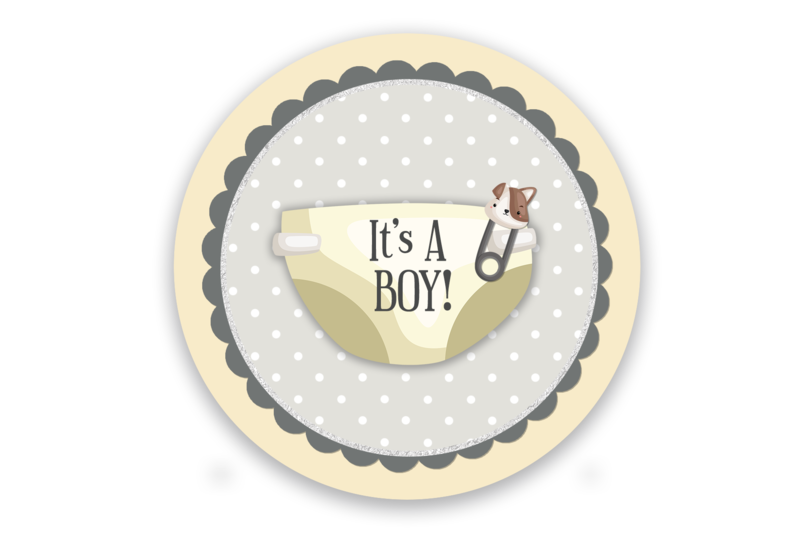 The second topper showcases a fresh diaper with a puppy dog safety pin and the words “It’s A BOY!” The third topper image has a precious puppy bib displayed on a light grey and white polka dot background. Designed with neutral colors that will compliment a grey, white and yellow theme. 2 inch & 2.5 inch Printable Toppers and Stickers. 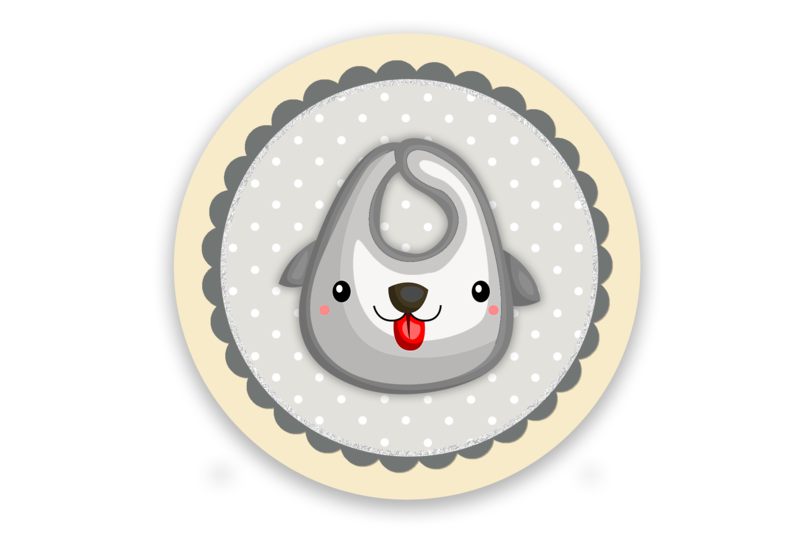 This design works great for stickers as well as cupcake toppers. Add stickers to paper cups, favor treat bags, and gift bags. The toppers work well on paper straws and placed inside mason jars. Cut a slit about 1/2″ from the to and bottom of the topper and insert paper straw through the front bottom slit first and the through the top back side to secure on to each straw. Print toppers out on to white card stock paper. Print stickers out on to full sheet sticker paper.